Mommy and Daddy live in a fourth floor walk-up. Carrying groceries up can be quite tiresome. Thank goodness they got a little helper! Wow Preston…such concentration and coordination! I think you are a big helper with that 5lb bag of clementines…and that pizza, it was bigger than you! And to top it all off, you guys have to live on the fourth floor that is lead up by a spiral staircase! I’m super impressed! P.S. My parents are trying to teach me to “take it” and hold…long enough for me to carry things like you….I don’t seem to want to participate! What a good helper you are, Preston! We are so impressed that you didn’t stop along the way and eat all of the ice cream! We sure would have! meat? seriously? preston can carry meat and not eat it? you are a superhero dog preston. what reserve and strength you have not to rip open that ground beef. what talent you have preston. you need to star in your own full length movie! i love how your eyes look upward when you are carrying the pizza box. TOO cute! you are our hero preston! WOW.. I can’t do that! I want to eat everything and it would never make it to the apartment! Preston ~ What a good job. You are a SUPER HELPER!!!! OMD Preston! I can’t believe the work the humans make you do! BOL! (just kidding humans) Wow, all those stairs AND carrying all that food……I noticed you were stripping layers off with each food item. I bet you got really hot doing all that work! Mommy said this is her favorite video ever! Phew…thank goodness for me we only have one story in our house! BOL! Oh, I LOVE it! My Basset boys could never be trusted with ANY of those types of food! Congrats on a wonderful fur-baby! HAHAHA!!! oh preston, the pizza box looks difficult to carry! you pulled it off so well! 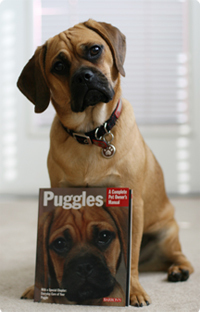 Oh my goodness, you’re a much better puggle than me! I’d eat all of that (except the oranges unless they were peeled) before I hit the first flight of stairs! hey preston long time no see or hear bol!! you were pawesome my mommy might have to have me help her real soon when we get our own place who knows it could be a walk up four stories!! OMD Preston! Great Job! Human Granny wants to hire you. She needs a little help too but I just want to get into the bags and take everything out. Now if you could just train me to put things away BOL! Thanks for sharing!